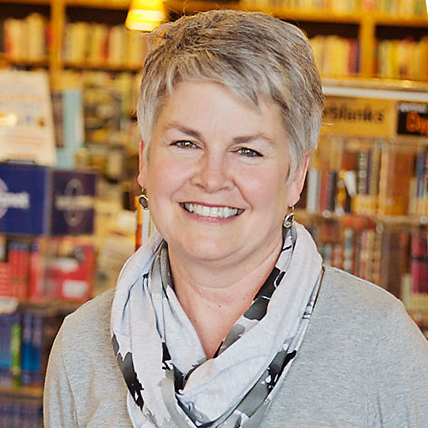 Judith Kissner, founder and owner of Scout & Morgan Books, Cambridge, Minn., has won the first Midwest Bookseller Award, given by the Midwest Independent Booksellers Association to "an independent bookseller who had an extraordinary impact on his or her community within the previous year." The MIBA board asked members to nominate booksellers, then worked with community members and industry professionals to create a picture of their accomplishments. The board said that "the effusive, detailed testimonials we received about Judith's work are truly inspiring and demonstrate what it means to embody excellence as a bookseller in 2018." In its announcement, MIBA quoted a range of customers and community leaders who praised Kissner and the bookstore. One customer, for example, said, "At a time when so many people are trying to comprehend the changes happening in communities of the rural Midwest, there are reasons for hope and optimism beaming through the front door of her bookstore." Among specific achievements, Kissner "has been working outside of the perceived interest of her store to raise the funds needed to build a new library in Cambridge, which her customers consider courageous, as the new tax needed to fund the library is not always a popular option," MIBA noted. Also in the past year, she led the effort to select Tim O'Brien's The Things They Carried as the community-wide read and then hosted the O'Brien at "a packed auditorium event. O'Brien spoke about the book and Vietnam veterans participated in a panel discussion on their experiences in the war." 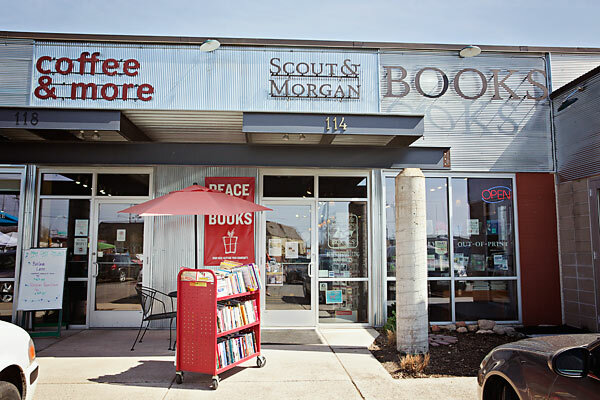 MIBA described her store this way: "Scout & Morgan has an elegant, welcoming atmosphere, with the latest books stocked alongside used and fine antiquarian books, a fireplace, and comfortable chairs for reading. Judith's commitment to her customers shines through immediately as she shares a warm hello and impeccable service with everyone who walks in the door. She is passionate about getting books into the hands of people of all ages and interests via whatever approach works best for them, and is praised for suggesting books customers might not have considered, but nevertheless purchase and love." MIBA added: "We are truly grateful to count Judith Kissner as one of our own. Her vision has uplifted her community, and inspired our association as well as independent booksellers across the country. Judith proves that the values associated with reading and buying books can happen anywhere with the right level of hard work and commitment. As Scout & Morgan customer Robert Briscoe says, 'Judith Kissner has shown many people the possibilities derived from dreaming.' "
Kissner will receive an all-expenses-paid trip to the Heartland Fall Forum, which takes place October 3-5 in Minneapolis, Minn.
Bronx River Books Coming to Scarsdale, N.Y. When Mark Fowler and Jessica Kaplan open Bronx River Books in mid-September, Scarsdale, N.Y., will have an independent bookstore for the first time in seven years. 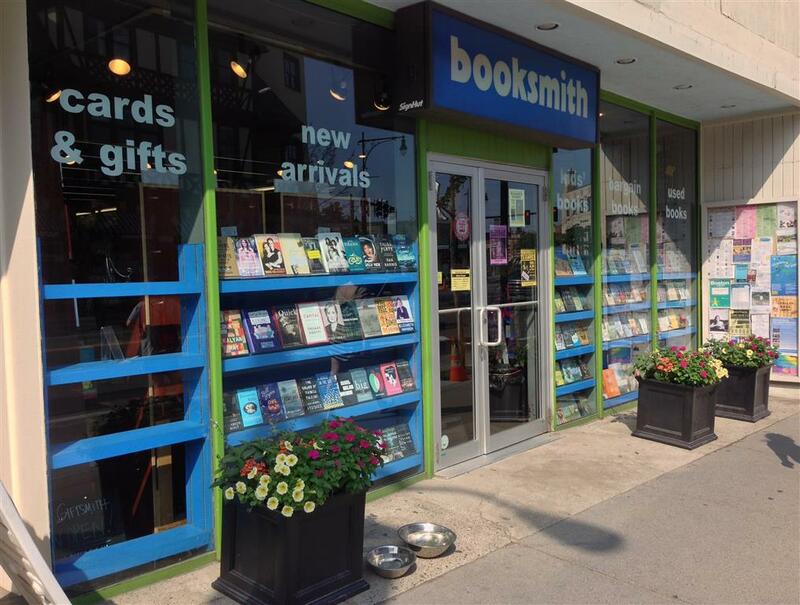 The roughly 1,200-square-foot store will sell all new titles for children, teens and adults. 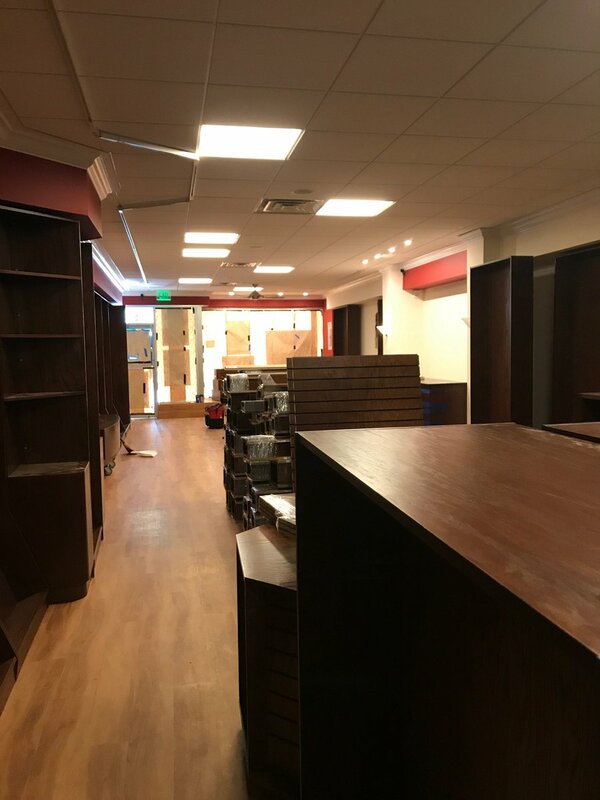 According to Fowler, about a third of the store will be devoted to children's and young adult titles, and while the store will sell books across a variety of genres, the adult inventory will emphasize fiction, history and contemporary affairs. Their plans for sidelines include a limited selection of items that are very much book- and writing-related, including Out of Print T-shirts, diaries and journals. He added that he and Kaplan have no plans to sell toys, games or "things without any connection to books." The store has no plans for a cafe or food component. Fowler pointed out that there is no shortage of places in the neighborhood where one can find a good cup of coffee. "They don't really need us [to sell coffee] in Scarsdale," Fowler said. He added, drily: "The hope is they do need us to sell a few books." While the pair has no experience in bookselling, both Fowler and Kaplan have had long connections with books. Kaplan was a teacher for many years, at the Greenwich Academy and the French American School, and she's been "involved with children's literature for a long, long time." Fowler, meanwhile, authored a number of humor books "once upon a time" before becoming a lawyer; he's spent the past several decades representing book, magazine and newspaper publishers. Fowler added, too, that indie bookstores are "among the places that we've loved most in the world." Fowler reported that he and Kaplan had thought about opening a bookstore of their own for years. They discussed it in earnest around seven or eight years ago, when the owner of Reading, Writing and Wrapping, Scarsdale's previous independent bookstore, started talking about retirement. Back then, the timing just didn't make sense, but over the last 18 months or so, Fowler continued, he and Kaplan began more seriously to consider launching their own store, particularly because Scarsdale has been without a new indie bookstore for so long. "It's our first venture into running a bookstore," said Fowler. "It's been an eye-opener." The store's first officially scheduled author event is slated for November 16, when local poet Sally Bliumis-Dunn will visit. Fowler said that he and Kaplan have talked to a lot of local authors about scheduling events, and it is "very much our plan" for the store to host events in partnership with local cultural organizations. Every fixture in the store, except for the shelves along the walls, is on wheels and can be easily rearranged; Fowler estimated that they will be able to seat around 30 people for an event. Kaplan is particularly interested in starting reading groups and holding storytime events, and Foster said there has been a "strong degree of interest" on that front from young parents. Jessica Kaplan surrounded by boxes of books yet to be unpacked. 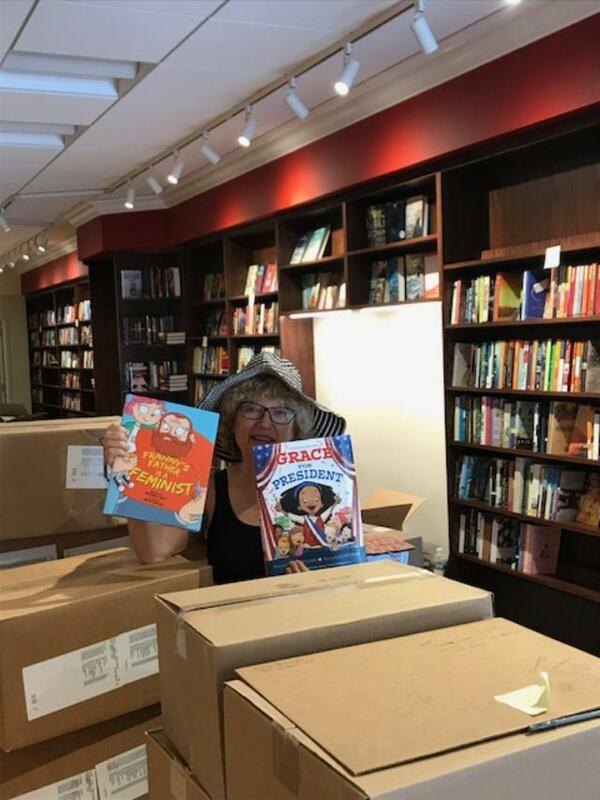 With a "gentle opening" set for September and a more formal celebration expected to follow in October, Fowler and Kaplan are unpacking boxes and boxes of books. Whenever they're in the store, they've had an open door policy, and Fowler said lots of people have been stopping by to say hello. More broadly, the community's response has been "amazing." Earlier in the summer, while their storefront was under construction and a street fair was underway on their block, they sat outside the store to greet community members and were met with a lot of enthusiasm. 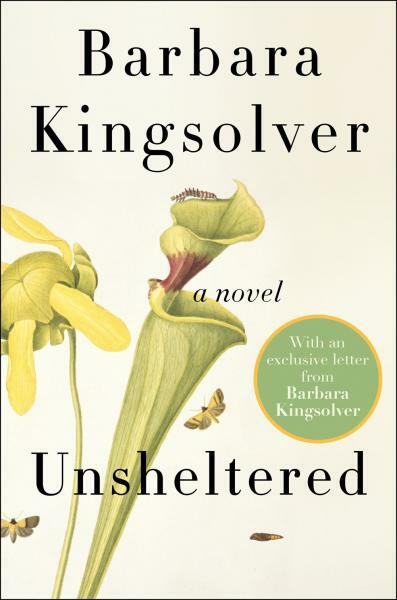 HarperCollins is releasing an exclusive edition of Unsheltered, Barbara Kingsolver's new novel, for independent bookstores only, according to Bookselling This Week, which described the special edition as part of a test being conducted by ABA's new Pre-Order Task Force. The edition will include "a one-page letter from the author that addresses the indie reader directly, highlighting Kingsolver's ongoing support for independent bookstores. The letter, to be highly designed with full-color border artwork, includes insight about the inspiration for the new novel." HarperCollins will release the limited edition in 12-copy cartons; Unsheltered has a shipping date of September 26 and an on-sale date of October 16. A general edition also goes on sale October 16. HarperCollins v-p and deputy director of sales Mary Beth Thomas commented: "We know the ABA members have been working on increasing preorders in the independent channel and we hope that an exclusive on such a highly touted book will help with that process." She added that the publisher thought Kingsolver would be the perfect author to start such a program with and contacted her. "Barbara graciously agreed and wrote a letter about her love of independent bookstores and why they are necessary to the publishing industry, especially now." The ABA will be offering education sessions at the fall regional booksellers association shows about how booksellers can expand preorders. Members of the task force will participate in the sessions. 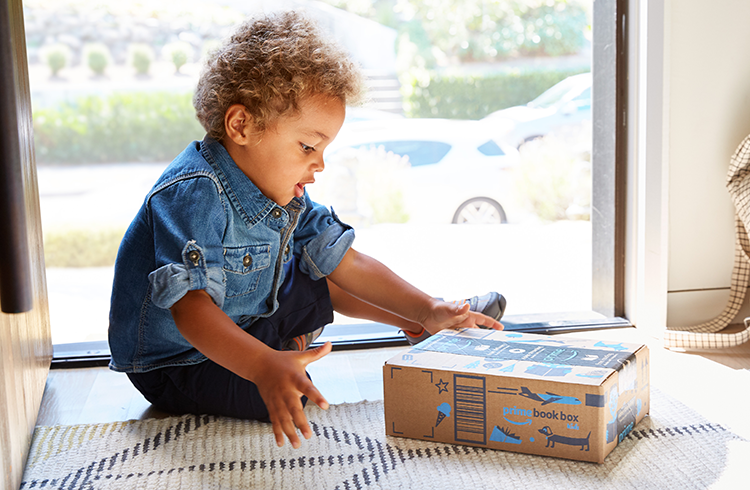 Amazon has expanded Prime Book Box, a subscription service that "delivers curated children's books every 1, 2, or 3 months," to all U.S. Prime members. The program, which was introduced to customers in May by invitation only, features "hardcover children's books hand-picked by Amazon's team of book editors" for $22.99 per box. "As a mom who's spent over 20 years reading and reviewing children's books, the best part of my job is sharing a love of reading with kids and their families," said Seira Wilson, senior editor, Amazon Books. "Over the past few months, it's been both exciting and rewarding to hear that Prime Book Box is encouraging kids to spend more time reading. Now that Prime Book Box is available to all U.S. Prime members, I hope we can inspire even more children to discover a love of reading that will last a lifetime." Fast Company noted, however, that because Amazon "hasn't replaced libraries yet, despite some people actually making that suggestion, you can also just get a library card. Then your kids get all the books they want for free." Bobby Lynn Maslen, author of the beginning readers Bob Books, died on August 16. She was 87 and had suffered from Alzheimer's disease for nearly a decade. In 1968, she was hired as a teacher, where, her family said, her "passion for learning led her to start writing beginning readers with her young students. She soon discovered that using her books, students loved to learn to read. She wanted to share this love of learning with students all over the world, and Bob Books were born." Upon retiring from teaching, she and her husband, John Maslen, started a book business, with Bobby writing and John illustrating. "The popularity of Bob Books spread and soon they partnered with Scholastic, who has been their publisher for 25 years." There are more than 16 million copies of Bob Books in print, which are sold around the world, as well as Bob Books apps, reading kits, games, flashcards, workbooks, and dolls. Shady. The good kind of shady, not the bad kind. You're starting school, and there's no way you remembered to get everything on your supplies list. You're about to start school, and your summer reading list has, like... zero titles checked off. You want more culture and arts in your life, and Booksmith has the Stairwell Gallery. You've been looking to get more wine and cheese into your diet. Refer to #5. You're loaded up with gifts from our notorious Half-Off sidewalk sale!! Now you need to pay for them. Your dog needs a biscuit. "I'm sure we left things off the list, why don't you come on in and remind us? See you soon!" There's an unusual book world angle to a photograph tweeted Tuesday by the Texas GOP meant to attack Democratic Senatorial candidate Beto O'Rourke. In the picture from the 1990s, O'Rourke and two others in dresses pose for the camera. @TexasGOP wrote: "Maybe Beto can't debate Ted Cruz because he already had plans..." and scrawled on the photo: "Sorry, can't debate. We have a gig." It turns out that O'Rourke is a musician, and the image is of the band Foss. Besides O'Rourke (l.), the band included Arlo Klahr (c.), who works at Skylight Books in Los Angeles (and now plays in the Fragile Gang), and Mike Stevens, who's now a journalist. John Byrd, marketing director and CFO of Cinco Puntos Press, El Paso, Texas, noted that Foss musicians often switched instruments after songs. The Sheeps, a band that O'Rourke and Klahr were in after Foss, always played in disguise, usually as sheep, and "claimed to be the most famous punk band ever to come out of New Zealand." Incidentally, Cinco Puntos published O'Rourke's book about marijuana legalization, Dealing Death and Drugs: The Big Business of Dope in the U.S. and Mexico, which he co-wrote with Byrd's sister Susie Byrd. Happy 85th Birthday, Abraham Lincoln Book Shop! Congratulations to the Abraham Lincoln Book Shop, Chicago, Ill., which is turning 85 this year. As owner Daniel R. Weinberg recalled, "Begun by Ralph Newman in 1933, Carl Sandburg nudged him into specializing in Abraham Lincoln and the Civil War era-- indeed, our logo was produced by Sandburg. I joined in 1971, buying every other book, and finally becoming sole owner in 1984. The Civil War Round Table movement and the Civil War book club began in our shop (the round oak table where it began is still a fixture in the shop). We still innovate today with Virtual Book Signing that morphed into Author's Voice today--live-streaming interviews of authors while simultaneously selling their signed first edition books and interactively accepting questions from our viewers. Author's Voice is both a seller of books and a media outlet for publishers, and will soon add podcasts to its repertoire." Asked about how he'll celebrate the store's anniversary, Weinberg said, "I'm still going into work so we can celebrate an 86th year!" 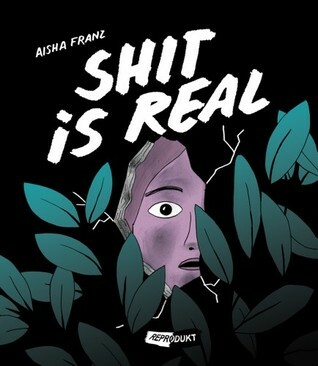 The Frankfurt Book Fair New York has selected Sh*t Is Real by Aisha Franz, translated by Nicholas Houde (Drawn & Quarterly), published July 10, as its Book of the Month for August. The Frankfurt Book Fair New York described the book this way: "After an unexpected breakup, a young woman named Selma experiences a series of reveries and emotional setbacks. Struggling to relate to her friends and accomplish even the simplest tasks like using a modern laundromat, she sinks deeper into depression. After witnessing another couple break up and chancing upon the jilted male of the couple, Anders, at his pet store job, Selma realizes that her mysterious neighbor is the woman of that same couple. Her growing despair distances her from her eager and sympathetic friend. One day, as the mysterious glamorous neighbor is leaving for a business trip, Selma discovers the woman has dropped her key card to her apartment. Selma initially resists but eventually she presses the key to her neighbor's lock and enters. "Aisha Franz is a master of portraying feminine loneliness and confusion while keeping her characters tough and real. Her artwork shifts from sparseness to detailed futurist with ease. Her characters fidget and twirl as they zip through a world both foreign and familiar. Base human desires and functions alternate with dreamlike symbolism to create a tension-filled tale of the nightmare that is modern life." Aisha Franz studied illustration at the School of Art and Design in Kassel, Germany, and has worked as a freelance illustrator and cartoonist. She has published two graphic novels, and her books have been translated into Italian, Spanish, and French. Her work has been exhibited in Germany, Belgium, and Italy, and she lives in Berlin, where she's part of the comics collective the Treasure Fleet. Nicholas Houde is a researcher, writer and musician who lives in Berlin and works as a research fellow for the Technosphere Project and the Anthropocene Curriculum at the HKW in Berlin while also pursuing a Ph.D. in Philosophy at the European Graduate School in Switzerland. His work focuses on collaborations with artists, scientists and technologists on social issues. He also performs music under the moniker soft steps. Maria Mann has joined Page Street Publishing as publicity and marketing associate. 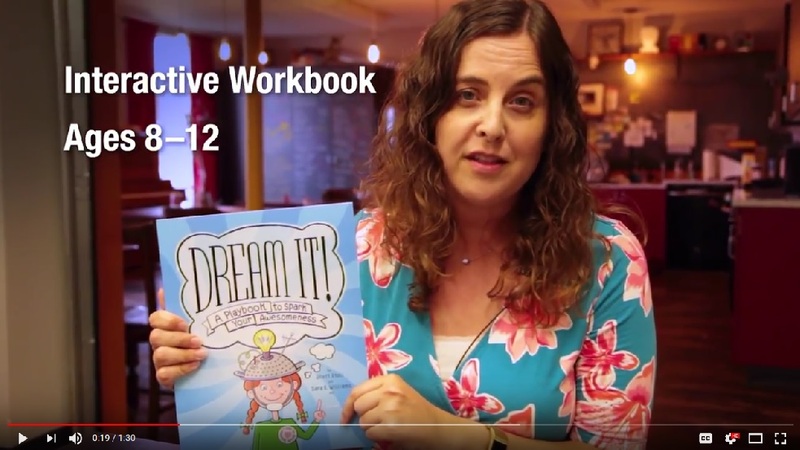 Book Trailer of the Day: Dream It! Dream It! A Playbook to Spark Your Awesomeness by Scott Stoll and Sara Williams, Ph.D. (Magination Press). All Things Considered: Mara Altman, author of Gross Anatomy: Dispatches from the Front (and Back) (Putnam, $29, 9780399574832). CBS This Morning: Wendy R. Sherman, author of Not for the Faint of Heart: Lessons in Courage, Power, and Persistence (PublicAffairs, $28, 9781568588162). All Things Considered: John Kerry, author of Every Day Is Extra (Simon & Schuster, $35, 9781501178955). Tonight Show repeat: Parker Posey, author of You're on an Airplane: A Self-Mythologizing Memoir (Blue Rider Press, $28, 9780735218192). 10 a.m. A panel discussion on spying and John le Carré with authors of espionage thrillers and biographies, including Joseph Kanon, author of Defectors (Simon & Schuster, $27, 9781501121395). 10:50 a.m. Open phones with Alfredo Corchado, author of Homelands: Four Friends, Two Countries, and the Fate of the Great Mexican-American Migration (Bloomsbury, $27, 9781632865540). 11:25 a.m. Supreme Court Justice Sonia Sotomayor, author of Turning Pages: My Life Story (Philomel, $17.99, 9780525514084). 12:25 p.m. Open phones with Doris Kearns Goodwin, author of Leadership: In Turbulent Times (Simon & Schuster, $30, 9781476795928). 12:50 p.m. Amy Tan, author of Where the Past Begins: A Writer's Memoir (Ecco, $28.99, 9780062319296). 2 p.m. Ron Chernow, author of Grant (Penguin Books, $22, 9780143110637). 2:45 p.m. Open phones with Brian Kilmeade, author of Andrew Jackson and the Miracle of New Orleans: The Battle That Shaped America's Destiny (Sentinel, $17, 9780735213241). 3:15 p.m. Open phones with Tara Westover, author of Educated: A Memoir (Random House, $28, 9780399590504). 4:40 p.m. Open phones with Washington Post nonfiction book critic Carlos Lozada. 5 p.m. Jon Meacham, author of The Soul of America: The Battle for Our Better Angels (Random House, $30, 9780399589812). 6 p.m. Lawrence Wright, author of God Save Texas: A Journey into the Soul of the Lone Star State (Knopf, $27.95, 9780525520108). 6:45 p.m. Nick Pyenson, author of Spying on Whales: The Past, Present, and Future of Earth's Most Awesome Creatures (Viking, $27, 9780735224568), at Politics & Prose in Washington, D.C.
8 p.m. Louis Hyman, author of Temp: How American Work, American Business, and the American Dream Became Temporary (Viking, $28, 9780735224070). 10 p.m. William Egginton, author of The Splintering of the American Mind: Identity Politics, Inequality, and Community on Today's College Campuses (Bloomsbury, $28, 9781635571332), at Politics & Prose. The Poetry Foundation and Poetry magazine announced the five recipients of the 2018 Ruth Lilly and Dorothy Sargent Rosenberg Poetry Fellowships, which are given to "encourage the further writing and study of poetry" and are open to U.S. poets between the ages of 21 and 31. Safia Elhillo, Hieu Minh Nguyen, sam sax, Natalie Scenters-Zapico and Paul Tran each receive $25,800. They will appear at the Dodge Poetry Festival in October, and the December 2018 issue of Poetry will feature a sampling of their work. "Our 2018 fellows created their own trails and important beautiful markers for those who will follow them into the future," said Poetry editor Don Share. "Each of these fellows energetically speaks to and contributes to the ever-increasing interest in contemporary poetry, especially among young people." Lake Success: A Novel by Gary Shteyngart (Random House, $28, 9780812997415) is a satirical novel about a hedge-fund manager fleeing his privileged life. Leverage in Death: An Eve Dallas Novel by J.D. Robb (St. Martin's Press, $28.99, 9781250161567) is the 47th mystery in the In Death series. Every Day Is Extra by John Kerry (Simon & Schuster, $35, 9781501178955) is the memoir of the former Senator, Secretary of State and presidential candidate. Menus: A Book for Your Meals and Memories by Jacques Pépin (Rux Martin/Houghton Mifflin Harcourt, $19.99, 9781328497666) collects 50 years of the chef's illustrated menus. Pitino: My Story by Rick Pitino and Seth Kaufman (Diversion, $24.99, 9781635765625) is the college basketball coach's inside account of an ongoing recruiting scandal. The Good Neighbor: The Life and Work of Fred Rogers by Maxwell King (Abrams, $30, 9781419727726) is a biography about Mister Rogers. On the Other Side of Freedom: The Case for Hope by DeRay Mckesson (Viking, $25, 9780525560326) is part memoir and part manifesto by a young black activist. 21 Lessons for the 21st Century by Yuval Noah Harari (Spiegel & Grau, $28, 9780525512172) explores modern technological and social challenges. Fashion Climbing: A Memoir with Photographs by Bill Cunningham (Penguin Press, $27, 9780525558705) is the memoir of the late New York Times photographer. The Spaceship Next Door by Gene Doucette (John Joseph Adams/Mariner, $15.99, 9781328567468). Beautiful Boy (Tie-In): A Father's Journey Through His Son's Addiction by David Sheff (Eamon Dolan/Mariner, $16.99, 9781328974716). America for Beginners: A Novel by Leah Franqui (Morrow, $26.99, 9780062668752). "A poignant story that confronts cultural, racial, and gender stereotypes through three people who end up on a trip across the U.S. The story revolves around a Bengali widow of means whose gay son was disowned; a young Bangladeshi man who has a job as a tour agent; and a young, white American woman who aspires to be an actress. These three are united in the journey initiated by the widow to tour the U.S., but really to find her son and confront his lover. Courage to face the unknown--whether it is a foreign country or questioning a previously held conviction--shapes the story and shows that we all have the potential to grow and change." --Susan Bush, Island Bound Bookstore, Block Island, R.I. I Didn't Talk by Beatriz Bracher, translated by Adam Morris (New Directions, $15.95, 9780811227360). "Above all, I Didn't Talk is about memory and guilt, and the narrator's endless struggle against them. Long celebrated in Brazil, Beatriz Bracher's first work to be translated to English will leave you astonished and just wanting more." --Adlai Yeomans, White Whale Bookstore, Pittsburgh, Pa.
Something Smells! by Blake Liliane Hellman, illustrated by Steven Henry (Atheneum/Caitlyn Dlouhy, $17.99, 9781481488648). "Something Smells! certainly does not stink! This charming picture book is a winner in every way. After young Elliot awakens to a powerful odor wafting through the house, he searches for its source. It isn't his pets, a skunk, or even Dad. Whimsical illustrations reveal a loving family highlighted by the very appealing (and clueless) Elliot. This funny tale with its oh-so-gentle message is a joy to read aloud. Listeners will giggle knowingly. Don't miss this!" --Christopher Rose, The Spirit of '76 Bookstore, Marblehead, Mass. The Mortification of Fovea Munson by Mary Winn Heider, illustrated by Chi Birmingham (Disney-Hyperion, $16.99, 9781484780541). "Imagine being a seventh-grader whose parents own and work in a cadaver lab and who love their work and constantly talk about their favorite body parts. Imagine having to give up summer camp plans to work in this body part lab that you consider extremely gross. As if that was not bad enough for Fovea (whose name means eyeballs, by the way), imagine having disembodied thawing heads begin to talk to you! Throw in a tiger kidnapping, weird recording sessions, a random mugger, and an order for 600 legs, and you have the makings for a never-to-be-forgotten summer. Well-written and destined to be a favorite of middle readers." --Pat Trotter, Bookends on Main, Menomonie, Wis.
Monday's Not Coming: A Novel by Tiffany D. Jackson (Katherine Tegen, $17.99, 9780062422675). "Monday's Not Coming is a heartbreaking story of a missing teenager, a community that seems not to notice, and a best friend who will go to whatever lengths it takes to find her missing friend. Tiffany D. Jackson weaves together multiple timelines, increasing the tension and emotion until you reach an ending that will haunt you long after you finish the book. This is a difficult but important and timely story. Highly recommended for teen and adult readers." --Beth Seufer Buss, Bookmarks, Winston-Salem, N.C. 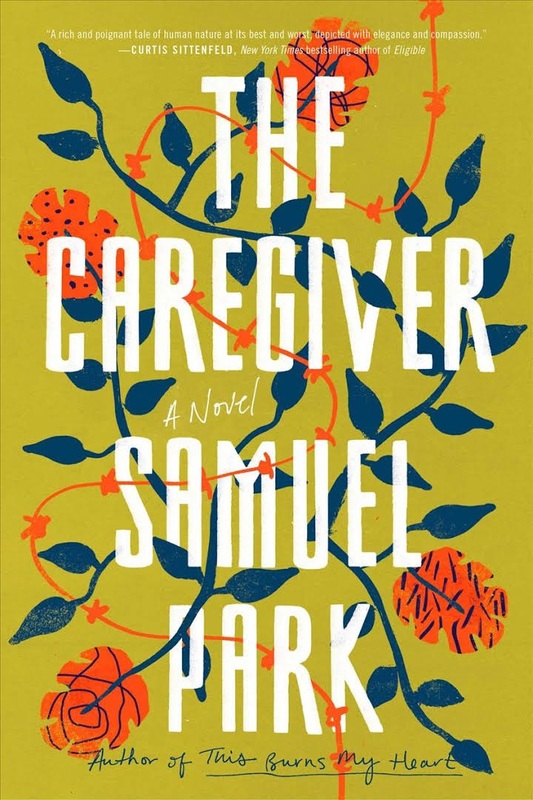 In São Paulo-born American author Samuel Park's posthumous second novel, a Brazilian immigrant looks back on her childhood with her charismatic mother while working as a caregiver for a young American woman. In the early 1990s, 26-year-old Mara Alencar shares a small apartment in Bel Air, Calif., with two fellow Brazilian immigrants. An undocumented worker, she earns her living looking after Kathryn, a 44-year-old divorcée with stomach cancer. Kathryn responds to Mara's compassionate care by trying to make their relationship more personal, promising to leave Mara her house and offering herself as a stand-in for Mara's mother. The attention makes Mara uncomfortable, as does her front-row seat to Kathryn's complicated relationship with her ex-husband, who no longer loves her but still sleeps with her out of pity. Kathryn's spirit and suffering remind Mara of her mother, Ana, a talented voice actress who supported them both with low-paying work dubbing Portuguese dialogue over American films. Mara reflects on events that changed her life and relationship with her mother forever, beginning with a supplemental job Ana took when Mara was eight. Revolutionaries hired Ana to deceive sadistic police chief Lima, a known torturer. When the job went unexpectedly awry, the consequences became haunting for the Alencar women. In alternating sections, Park unravels Mara's experiences in Brazil and California, both timelines heading toward defining moments in her bond with an important woman who shapes her life. Like Kathryn, Park (This Burns My Heart) suffered from stomach cancer, which took his life at age 41. Some of his most powerful passages meditate on the horror of cancer, which Mara compares to torture: "Both changed the meaning of the body. No longer the purveyor of pleasure, but instead a battleground." However, the heart of this coming-of-age tale lies in Ana's stint as an accessory to rebellion, as she risks her life, provokes overwhelming horror in Mara and blunders into trauma that will haunt them both for the rest of their days. Shelf Talker: Samuel Park finished this quiet, heartfelt story of an undocumented Brazilian immigrant's tumultuous early years with her charismatic mother shortly before dying of stomach cancer at 41.